Scoring a business trip to Europe then only staying for four days would be like winning the lottery and only buying a new pair of shoes. It wasn’t gonna happen. So not long after AOL agreed to bring us to France to represent our series Funded at the Cannes Lions festival, we got to scheming where else we could go in Europe while still feeling comfortable spending our fledgling company’s money in doing so. 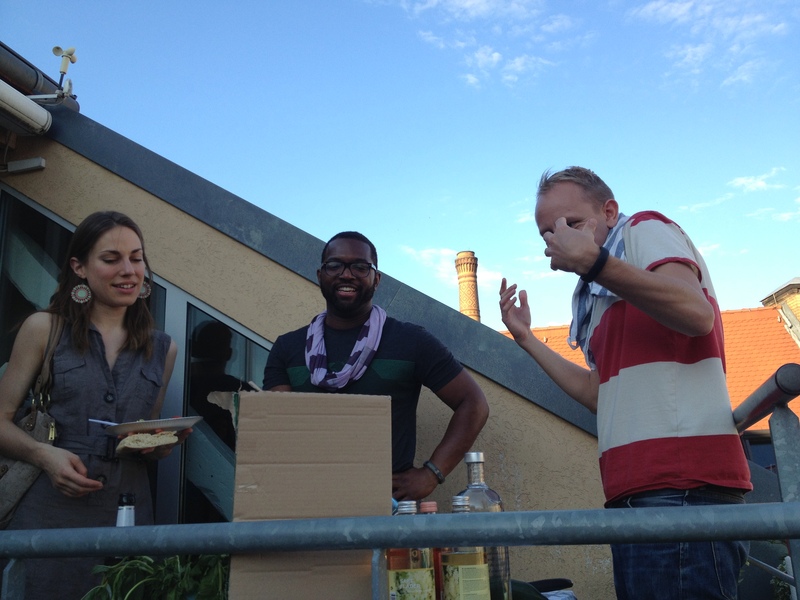 Having heard a chorus of requests to bring a Comedy Hack Day to Berlin over the past year, the choice became simple: Cultivated Wit would round out its Euro trip schnitzel style. We had all heard tale of Berlin’s party scene, its abundance of talented 20-somethings, the burgeoning startup scene, and did we mention its party scene? But none of us had ever been there, which is shocking when applied to Baratunde and not shocking at all when applied to me (this was my first-ever trip outside the U.S.). We spent three full days and nights Germany’s capital to size it up for a potential Comedy Hack Day and generally get a feel for the city. Here’s what we learned about Berlin. I just made that word up and I’m simultaneously proud and self-loathing. But there is no denying that New York’s most marketable borough has a graffiti-laden, bicycle-riding sister city in Berlin. Having lived in Brooklyn for nearly six years, Berlin is one of only a few cities that’s ever registered a comparable atmosphere of comfort and coolness. 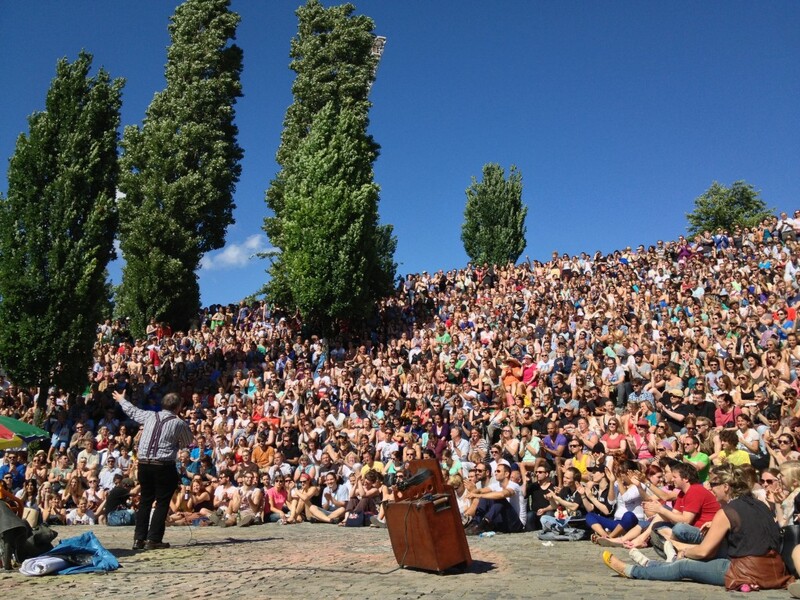 We stayed in Mitte which was accurately compared to Park Slope on several occasions, and our afternoon at the flea market and karaoke show in Mauerpark easily felt like something all-too-well suited for McCarren Park in Williamsburg (this guy stole the show on the day we were there). Nearly every person we met or shared a meal with felt like somebody you’d come across in Brooklyn. Especially the brunch we shared with Jay Z. Maybe it’s only because we were on the heels of Cannes where life just felt a little more buzzword-y, but after spending some time at Soundcloud and Readmill—two of the more firmly rooted startups in the city—and meeting a slew of other folks from the tech industry, it struck me how down to Earth and modest everybody seems to be. That’s not to suggest every American in tech is the opposite, but one need only spend 4.6 seconds at SXSW to acknowledge the self-aggrandizement shark that much of the tech scene jumped long ago. 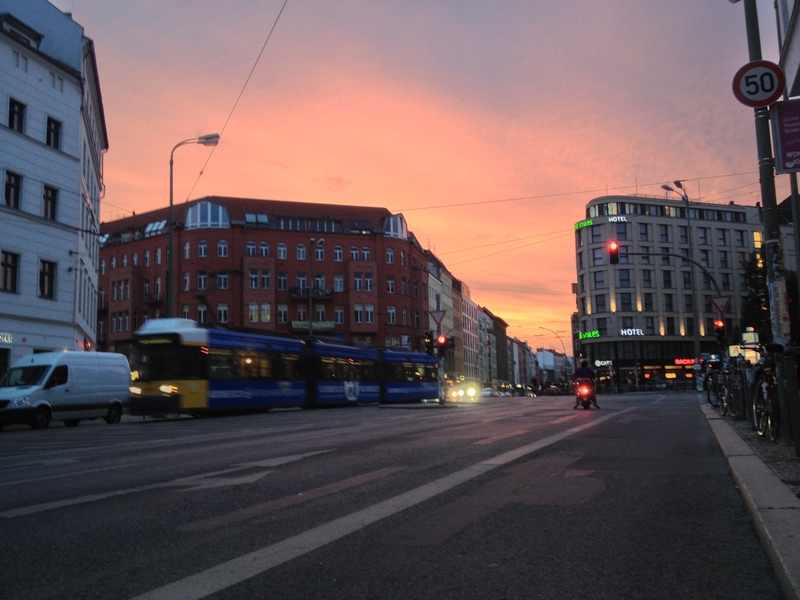 From our limited exposure, it seems as though Berlin has yet to hit that point. Give it three more months, though. Whether it’s a factory turned club, an airport turned park, or an amusement park turned abandoned amusement park, this city is ripe with run down old places turned into super rad new places. Our first night in town we visited a pop-up restaurant/bar at an old boat garage along the Spree that’s now being transferred into artist studios (these folks somehow got their hands on Jackie Kennedy Onassis’s yacht and are restoring it), then visited Katerholzig to be bombarded with fog, lights, and house music from 2-7am in an adult playground built into the grounds of an old factory. 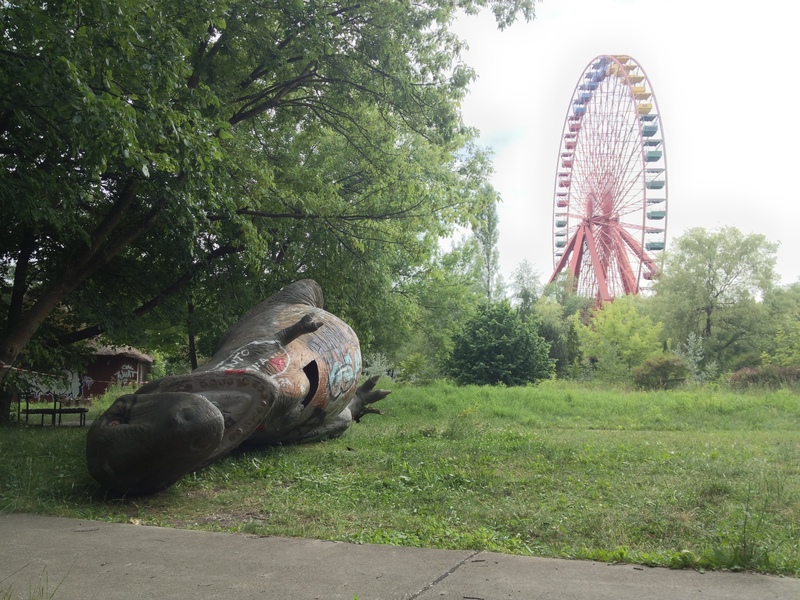 Craig and I also visited Templehof Airport (one of the world’s oldest airports turned city park) to ride bikes on a runway and Spreepark (a long-dormant amusement park) that stands as easily a top-10 coolest place I’ve ever been in my life. Seriously. Imagine Bonaroo, but only house music and it happens every weekend. That was Katerholzig. Just a little lawless party Mecca tucked along the Spree. It was one of the more memorable all-nighters I’ve ever pulled, the likes of which I can confidently say I’ll never experience again outside of Berlin. My personal mission to score primo souvenirs for myself and my family couldn’t have been more of a success. 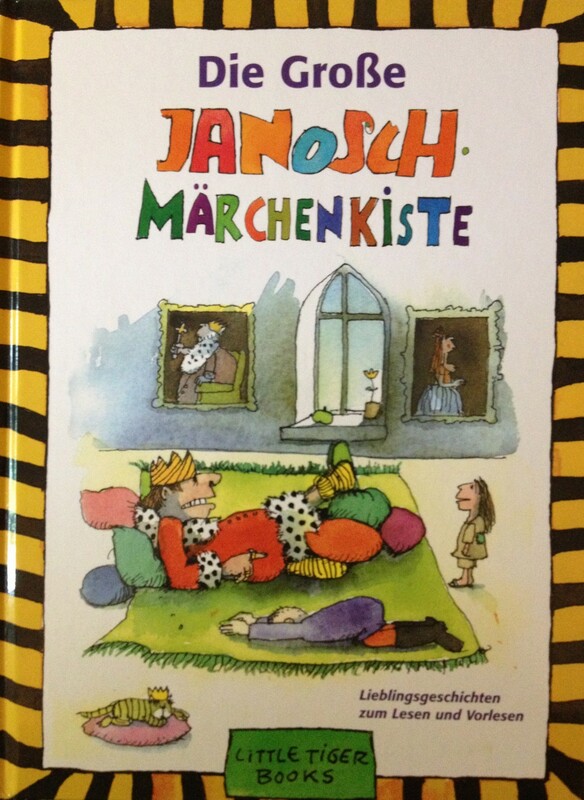 Sometime years ago I discovered a German children’s author who went by the penname “Janosch,” and my hopes that I could find awesome kids books with my name blazened across the cover were not dashed. It wasn’t easy, but finding room in my suitcase for five books undoubtedly become my best-ever vacation gift purchase.